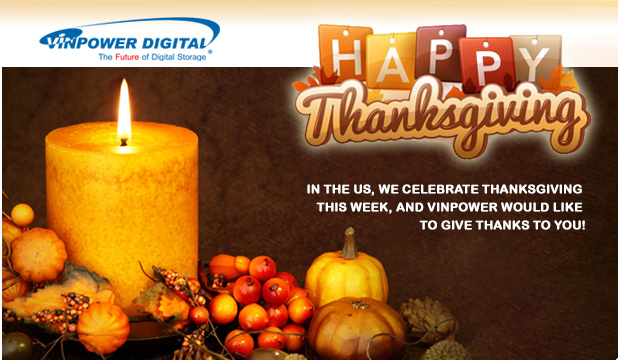 In the US, we celebrate Thanksgiving this week, and Vinpower would like to give Thanks to you! Thanksgiving is a holiday in the USA, which families give thanks for the good fortunes, friends and family in their lives. This is the perfect time for Vinpower to also give thanks to all of our supportive partners, customers, vendors, and everyone else that we have been fortunate to come in contact with over the years. Vinpower is a family and we consider those we work with to be like family as well. For this Thanksgiving, we thank you for your support and being part of our extended family. Vinpower is a brand licensee with One Blue, the organization that enforces that payment of all Blu-ray licensing royalties. That means that Vinpower can offer their own Blu-ray brands, which are fully licensed by One Blue, without concern of being hit with massive back dated royalty payments or litigation. In addition, we can also support 3rd parties looking to offer or continue their own line of Blu-ray media and ensure that they are fully licensed. So, if you are currently offering Blu-ray media from a manufacturer that is not licensed with One Blue or your supplier stopped offering Blu-ray media due to the costs and pressure from One Blue, Vinpower can support your efforts to continue offering your signature brand without fear of retribution or litigation. For more details about how Vinpower can support your companyâ€™s efforts to offer licensed recordable Blu-ray media, contact us today. Donâ€™t discontinue your Blu-ray media line or risk your companyâ€™s financial stability by selling unlicensed Blu-ray media. Remember, One Blue can target customers and resellers to recoup any unpaid royalty fees, not just the manufacturer. So donâ€™t take a chance, contact Vinpower right away to find out how we can support you. 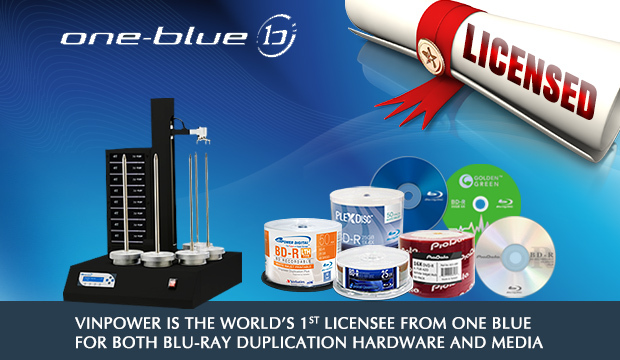 Vinpower is the world’s first and only One Blue licensee that has a Media Brand License and Duplication hardware license for Blu-ray, ensuring complete compliance and compatibility. In the past, the patent holders for CD and DVD were only interested in securing media & drive royalties from the original manufacturers. So even if a product was unlicensed, the buyer was not required to pay the license fee. That is no longer the case with Blu-ray. Today, regardless of whether you are the manufacturer or the buyer, either or both can be responsible for paying the royalty amount for the full quantity of Blu-ray duplication hardware or media they sold or purchased. So don’t get caught with substantial fees or a potential lawsuit from the One Blue organization by purchasing Blu-ray media or hardware from an unlicensed company. Protect yourself and your customers from the burden of potential harassment and/or legal consequences by working with Vinpower products and know that you have officially licensed and royalty paid duplication hardware and media. 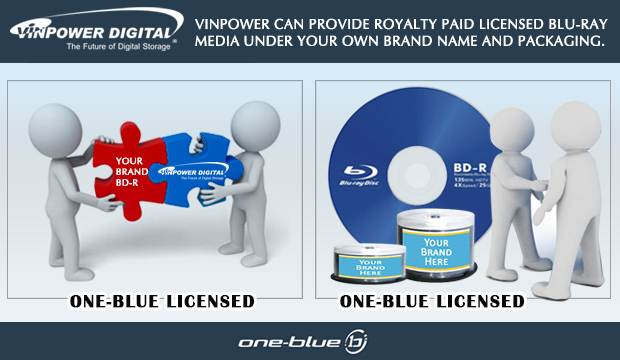 For more details about Vinpowerâ€™s licensed One Blue products or any of Vinpowerâ€™s product line, please visit www.vinpowerdigital.com or speak with a Vinpower representative near you. 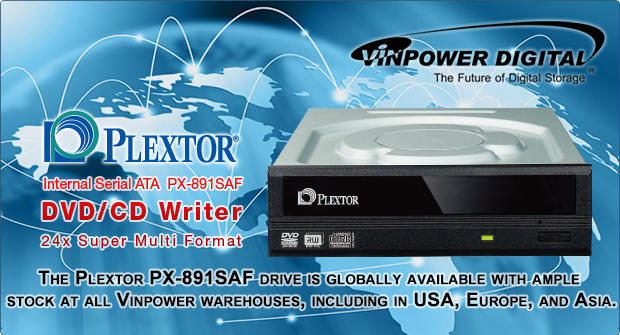 In realizing that the Plextor PX-891SAF Optical Disc Drive is a much better value than alternative CD/DVD recorder drives, many customers around the globe have asked if it’s available in their market. As the exclusive worldwide supplier, Vinpower has plenty of stock at their facilities in USA, Europe, and Asia that can support customers anywhere in the world. Contact Vinpower today if youâ€™d like to order these top of the line drives.